It’s the most wonderful time of the year, and bringing the Christmas spirit to your interiors is the perfect way to get that festive feeling. The bedroom is often one of the rooms that gets forgotten when it comes to Christmas decorations, but adding some festive décor to the room will really help to create a warm and cosy atmosphere for you throughout the winter. These festive décor tips have been gathered together to help you bring some Christmas magic to your bedroom interiors. If you really want to bring the festive feel, then you’re going to need a Christmas tree. Not only do Christmas trees provide you with a beautiful spot for Santa to deliver all of your presents too, but they also create a gorgeous focal point within the room that will instantly enhance your current décor. Whether you decide to add a real Fraser Fir tree, or you think an artificial tree is going to be more suitable, there are so many available that you can choose the perfect one to suit your bedroom. 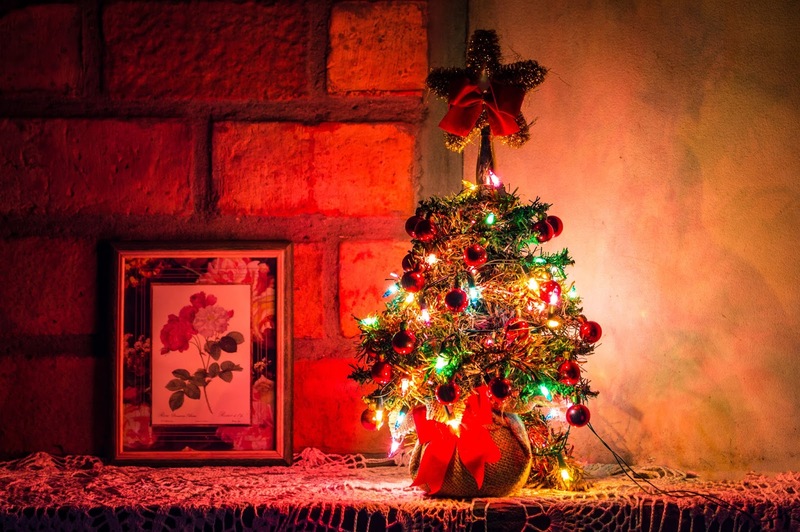 Try to be cautious when it comes to picking your tree, as you want to make sure you choose the right size to fit the size and style of your bedroom, so that the tree looks as good as possible. As well as your Christmas tree, there are additional features that have been brought in from the outdoors to help add the festive touch to your bedroom. Pine garlands are a very popular choice for the home, especially when you have surfaces like windowsills and fireplaces to drape them along. The great thing about fresh garlands is that once you have chosen the perfect place for them to go, you can add to their beautiful aesthetic by hanging some delicate baubles to them, or dangling some fairy lights along the surface. This is a really simple yet effective touch and can be kept throughout winter, not just for the Christmas period. Throughout the Christmas period you find yourself obsessing over certain festive scents, and they instantly help to create a Christmassy atmosphere. There are some lovely ways in which you can add festive scents to your bedroom, from candles to incense, and with so many gorgeous scents to choose from, it can be hard to pick your favourite. Having a Christmassy scent flowing throughout your interiors is perfect for creating that warm and welcoming atmosphere, and will really help you to wind down and relax at the end of a busy day. If you’re wanting to make your room a relaxing sanctuary for you to escape to, then look at adding scents including lavender, vanilla and cinnamon, as they really help to relax the senses and create a calm feel. To enhance your bedroom and add some Christmas magic, you need to ensure you have the right level of lighting. Lights are key when it comes to Christmas time, as they help to bring that special Christmas feeling, whilst also creating a really beautiful aesthetic within the room. For the bedroom, you should look at draping fairy lights along your oak bedroom furniture, giving bold furniture pieces an added touch that will bring the décor to life. The soft glow of fairy lights is perfect for helping you wind down and relax, as well as bringing that soft atmosphere that is ideal for the bedroom. Similarly, you can add some scented candles to the room, as these will also bring the delicate glow whilst adding the festive scents that will enhance the Christmas feel. Most bedroom have their beds as their focal point, so creating a festive focal point with some bold bedding is a really fun idea. There are some really creative duvet designs on the market that combine festive prints with Christmas colours to really add to the overall feel, and they’re always a thick, cosy material too. Find some bold bedding that would suit the current décor style within your bedroom and you’ll have a cosy Christmassy bedroom in no time.